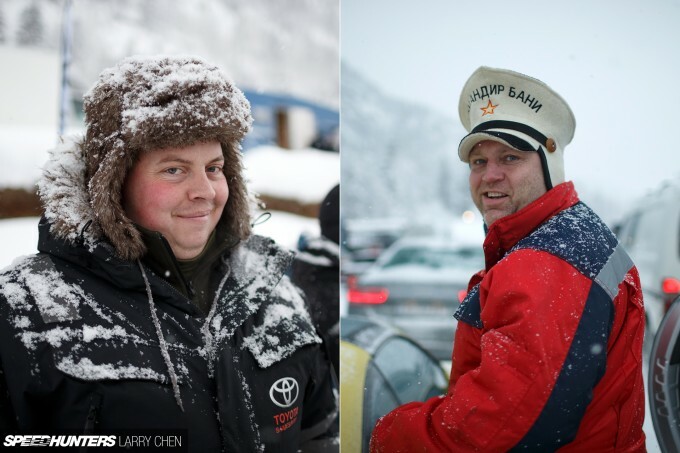 What’s the difference between a great winter rally driver and an amazing winter rally driver? A couple of days ago I asked Anders Grøndal, 10 times national Norwegian rally champion, this exact question. Having known him for several years I knew he was the right kind of guy to ask such a delicate question. 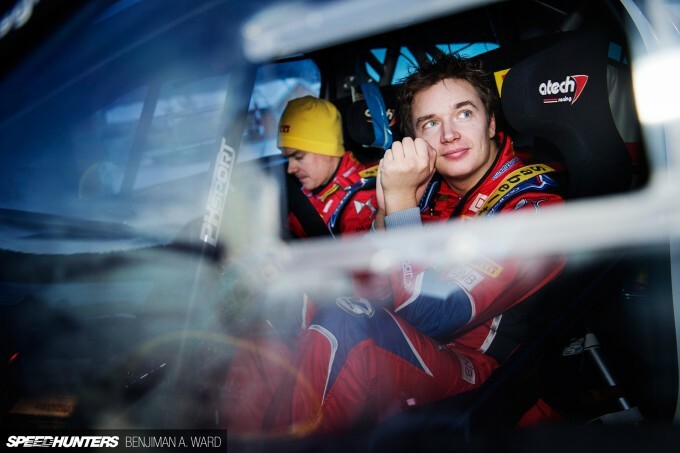 Anders was born and bred in the midst of the Scandinavian winter rally scene, as was both his grandfather and father. 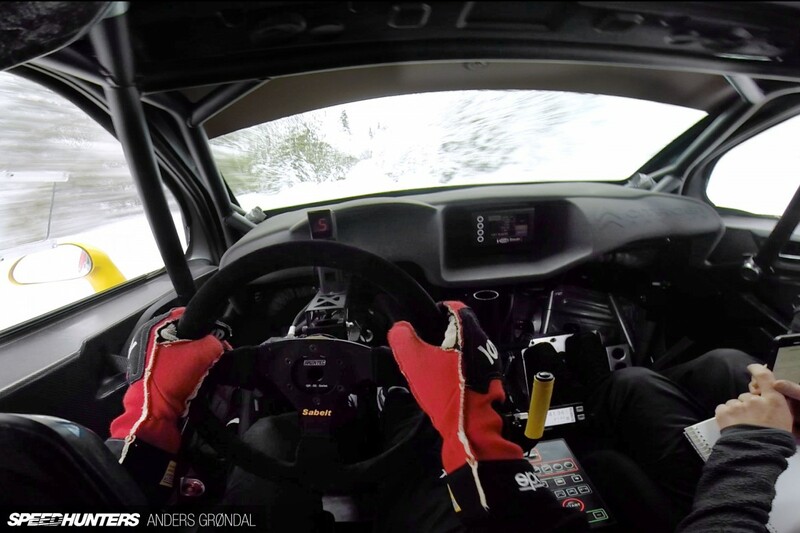 You could say Anders had no other option than to become a rally driver, and now 30 years old, he holds a reputation of being lightning quick on snowy mountain roads. So what does it come down to? 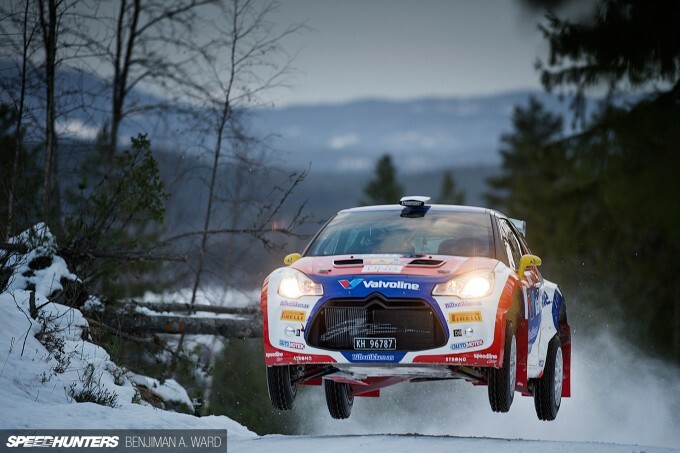 What differentiates the elite few from the rest of the field in the art of winter rallying? I had spent quite some time cooking up this question, but it didn’t take Anders more than about two tenths of a second to answer it: commitment. 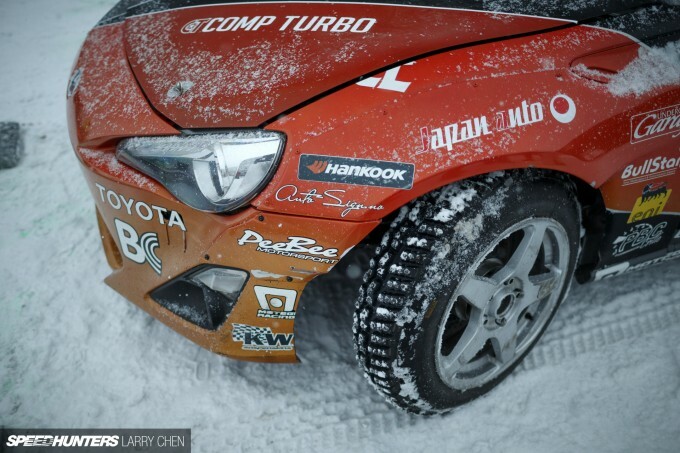 That’s the only difference between a great winter rally driver, and an amazing winter rally driver. So there you have it. Now, I know a fair bunch of you Speedhunters regulars out there are not just into cars, a lot of you are also into driving them hard. 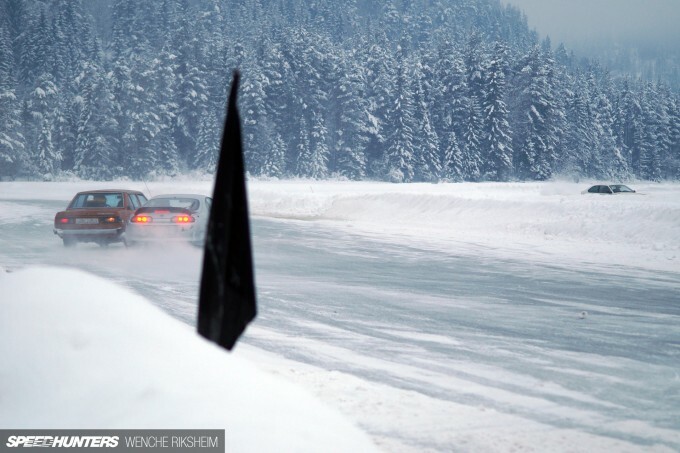 Not all of you live in parts of the world that see four seasons, however, and following our annual Gatebil on Ice event reports I’ve received plenty of questions about what it’s actually like to race on ice. So, with that in mind, I’ve decided to dedicate this Speedhunters post to the art of ice racing, and hopefully teach you a little speed secret or two along the way. 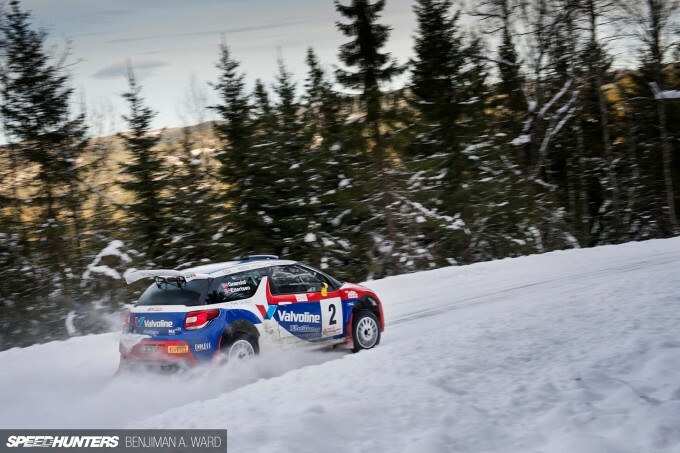 I will show you a glimpse of a professional rally driver’s world, and we’ll look at the incredible pace he is able to find on pure ice and snow. 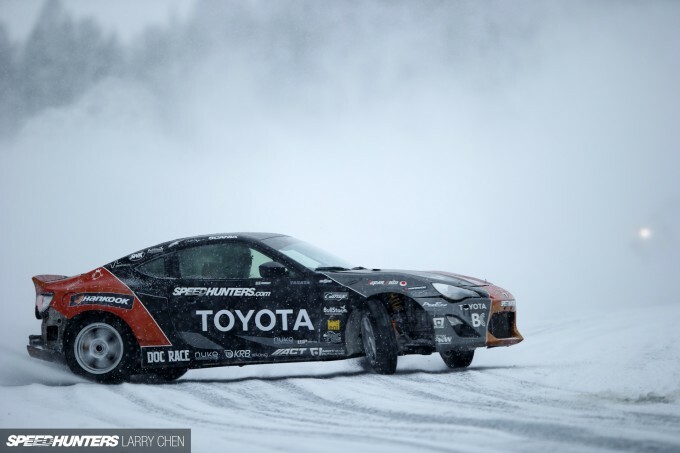 Then, I’ll take you to a frozen lake in my personal, slow motion Supra practice drift car and show you how to find grip – when there almost is none. Anders will be going over a couple of his winter driving techniques, and I’ll chime in with my input. After all, I’m a drifter that grew up playing in the snow. 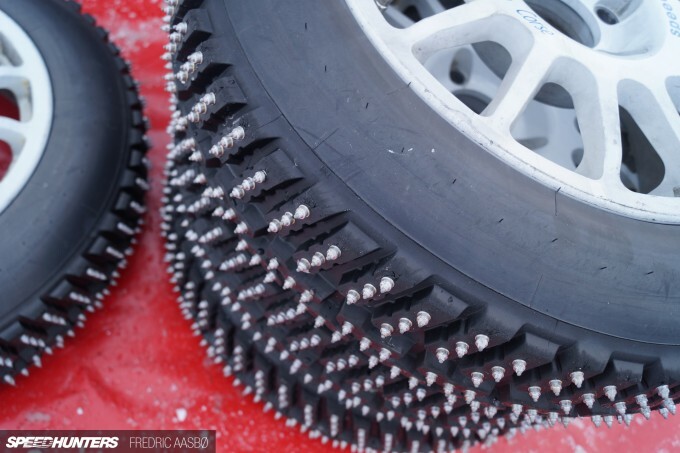 Fredric: Can you briefly tell us what tires you use for ice racing? 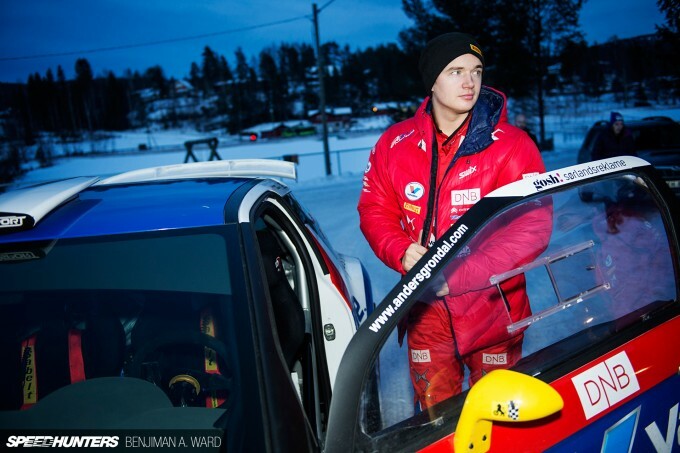 Anders: We have two options of winter tires on our WRC2 R5 four-wheel drive rally car. We use eight millimeter studs in snow, and seven millimeter studs on pure ice. 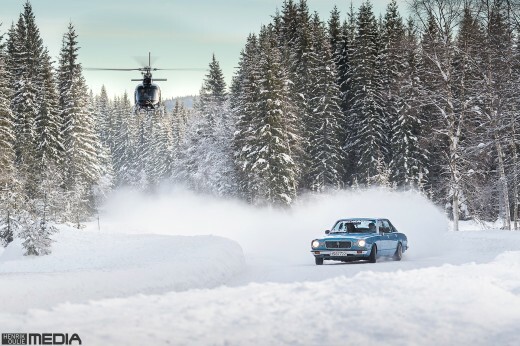 But for both options, and especially for the ice tires, it’s really crucial that you drive the car very aggressively, because the more Gs you pull, the deeper you push the studs in the ice. And this right here is part of why racing on ice with proper studded tires is such a blast. 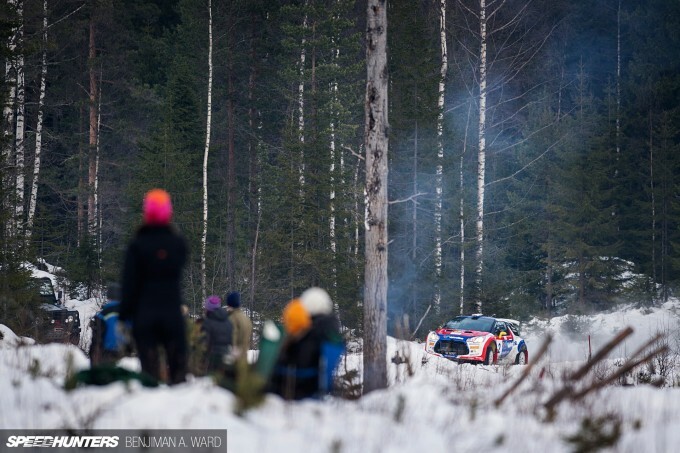 Because contrary to normal race or street tires on a paved road – which have an ideal window of slip angle where any more wheel spin or drift will reduce the overall grip – the WRC studded ice tires actually work in the opposite way: the more aggressive you are, the harder you load the car in the turns, the more grip you have, and the faster you go. Think about that for a second… If that doesn’t sound like the ultimate dream, then I don’t know what is! 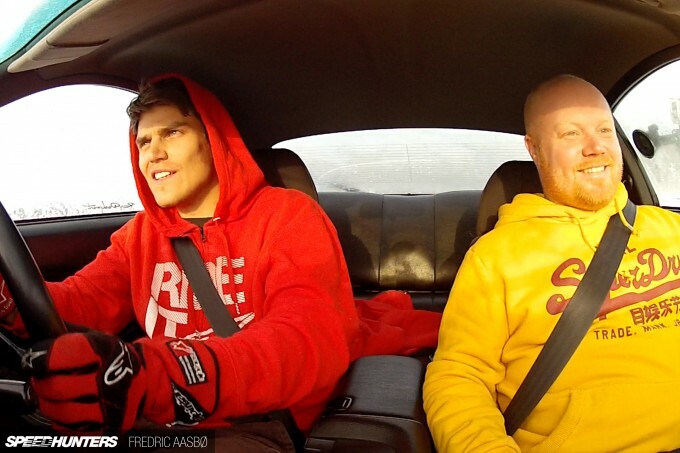 Fredric: So Anders, when you’re chasing split seconds out there, what is your biggest concern? Anders: I’m constantly on the edge, and in the back of my head is the constant worry of losing front end grip and understeering off track. We often compete against very different cars on these stages, and different drivers who take different lines. 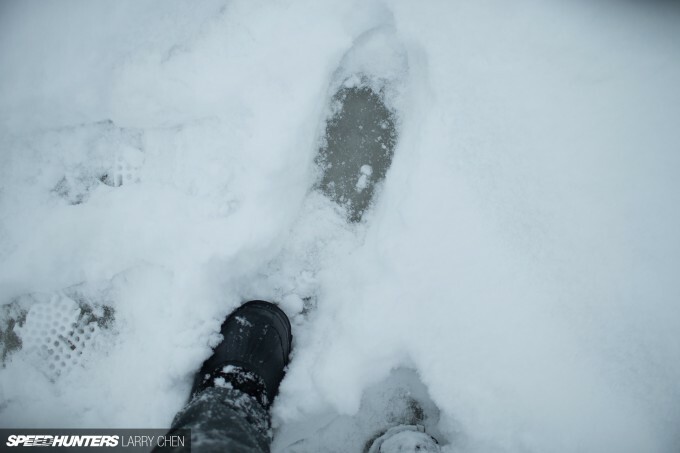 That means my preferred line is sometimes full of loose snow, which drastically reduces grip as it prevents the studs from digging into the solid ice underneath. That’s why drifting through the turns is the slightly slower (but significantly safer) route, because then you’ll already have the car turned in when you hit a loose spot. Joking aside, most of us mortal people have a long way to go before we sit strapped into the driver’s seat of a full-fledged WRC car. What is far more obtainable, is doing what I did a couple of years ago. I bought a naturally aspirated, bone stock 200 horsepower rear-wheel drive fun car (a Toyota Supra in my case) and went to work on various frozen lakes around my home country of Norway. 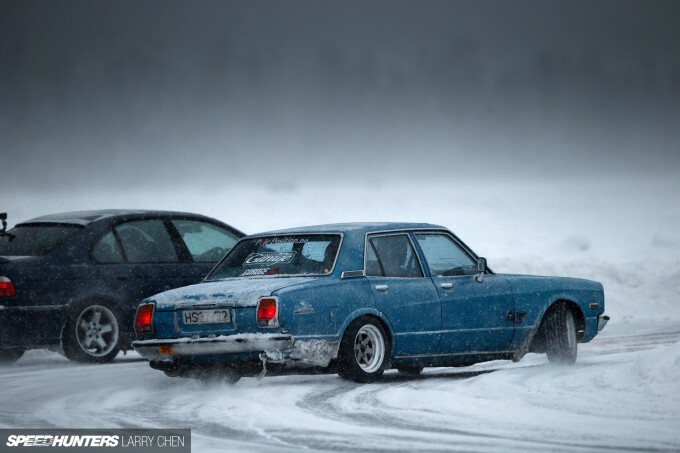 Using a mix of similar tires to what Anders is using as well as more modest, road legal studded winter tires, this is the perfect practice setup for honing your general driving/drifting skills, and practicing the secrets of going fast on loose surface. Since I’m a drifter, I like to practice tandem driving. I try to team up with cars with fairly similar grip levels, so we both go around the track at about the same speed. I then practice my chase and lead car moves; E-brake proximity adjustments, left-foot braking, planning ahead, and so forth. Unlike summertime drifting (where a set of tires last less than a minute of effective drifting), you can go for lap after lap, often times until you run of out of fuel. I’ve gone through four completely full gas tanks on my Supra in half a day. Throughout the day the track typically gets ‘polished’ depending on the tires that are being used, and you’ll end up with a surface that is really slippery around the centre section, but has more grip at the edges where most people haven’t driven. In conditions like those, and especially if I need to catch up to someone, I then either hug the inside of the course, or I follow the very outer perimeter of the course. If I can cut across at a point where I don’t wash out, I try to negotiate a line that allows me to do so. Think of it as a pinball game, where hitting the edge bounces you back out. This never ending cycle of changing track layouts makes it a constant challenge. And sometimes, if it’s really warm and wet (meaning above freezing temperatures), the studded tires dig all the way through the ice and flood the track as water comes up, which gives you another obstacle to tackle. At the end of the day you’re on a lake so a bit of caution might be smart! 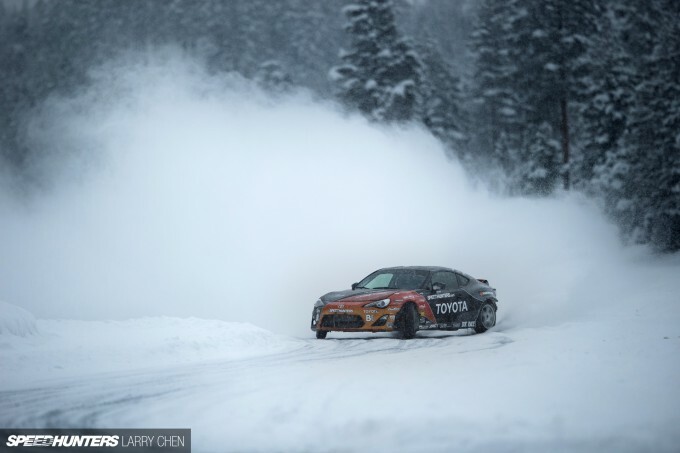 No matter the conditions, and no matter what car you’re in, it always ends up being a similar case to competing in Formula Drift – and this is contrary to what a lot of people think. You are searching for grip as you are trying to catch up or pull away. But somehow, playing around in the snow gets you every time – you end up giggling like a kid when you hit the snowbanks. 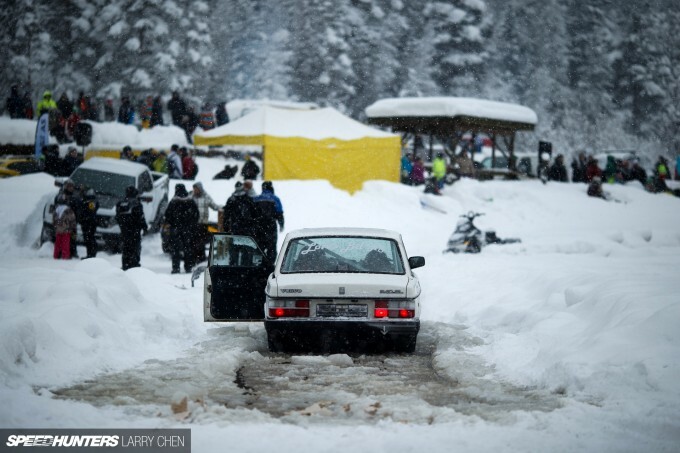 So if you live somewhere where frozen lakes are not readily available, I encourage you to make it out to either one of the Gatebil On Ice festivals or a Scandinavian winter rally. And do try to get behind the wheel of some sort of vehicle! 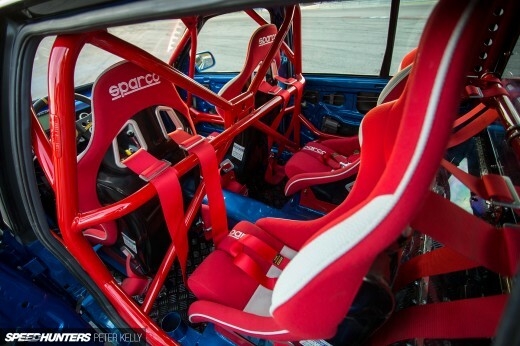 It doesn’t matter if it’s a WRC racecar or a winter beater. I promise you won’t be disappointed – regardless of the equipment. 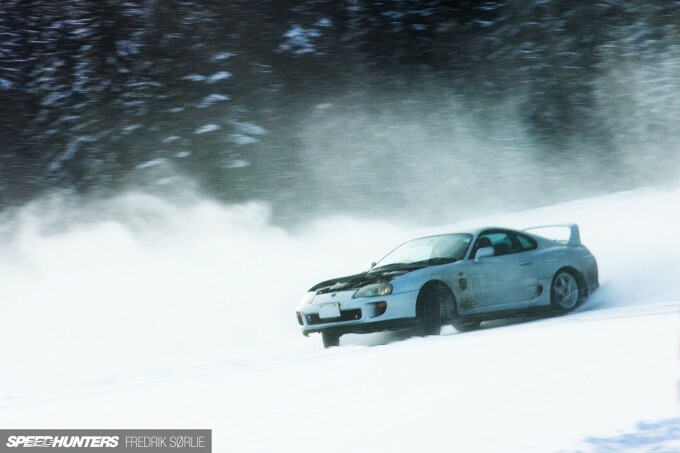 A big thanks to Anders Grøndal & Team, who won this past weekend’s Rally Hadeland, Gatebil, Photographer Benjamin Ward, Wenche Riksheim, Frank Siharath, Fredrik Sørlie and the Speedhunters family for their Gatebil on Ice coverage. Anyone know what the name of the song was in the video? Awesome job Aasbo! That's way cooler than that dirt hole of Vaughn JR that Larry insist of showing way too often. Allways a pleasure to read a fellow Nord's post! Have to comment here that when you are broke and no extra money to spend on a car that can actually drift nicely on tarmac, winter is your saver! Here up north the best time of year is when you realize that those common parking lots and driveways have turned to a perfect playground overnight! Actually, I too often take it for granted that im privileged to drift properly half the year. Otherwise, great post Fredrik, keep 'em coming! Frank the tank killing it in norway!!!! greenroadster hahaha. At least Gittin has an FD championship under his belt, unlike the Tanner wannabe. My coworkers are all groaning at the weather when we are getting more snow, and I seem to be the only one grinning like a kid! AWD and a very simple "traction control off" procedure makes for a wonderful playland. I wish that they would open up some of the race tracks here in winter, but no one wants to be a marshal in 40 below. 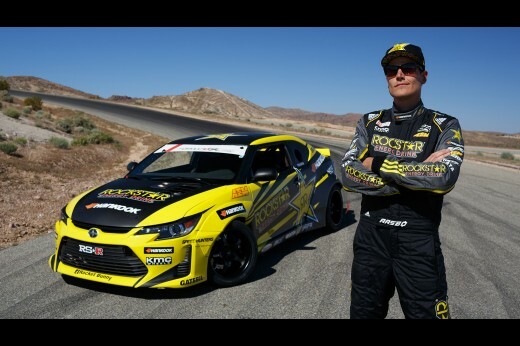 @TROLLS ROYCE greenroadster To fill the shoes of Tanner Faust is a pretty big deal,even if the name is Fredric Aasbo. Andreas H Husby greenroadster Yeah, sure, Vaughn JR didn't need to crash Aasbo car to win it. It just "happened". I need a set of those tires up here haha.